‘All work and no play make jack a dull boy’. Boating is a miniature adventure packed with Jill and thrill. My friends and I always choose boating for hangout which makes us feel good and splendid. We sing songs and cherish all the good times of our lives. Boating is a mood setter, it sets default to hilarious and delirium mind. It makes a good recreation sport. It strengthens our thigh muscles and helps us to stay in physique. There is something about pedalling the boat that inherently equals to a mini adventure. My BVRITN campus quite often looks like a resort. The favourite hangout for every BVRITian is boating. My excitement doubles when I start to pedal a boat which thrills with high level of elation, recreation and exhilaration. Boating makes me feel refresh and pleasant. It helps in burning the calories and contributes for exercise of the body and mind. I would like to share my very first boating experience in BVRITN. That was one fine evening of my freshman year. I went to the pond with my gang of friends to claim a boat. That evening was very touching and beauty of joy was ruling us. There was no exam pressure that is why I was very relaxed and in a full mood of snatching the ecstasy of boating. The gentle air was very nice to feel. During boating we came at the bank and took our coffee. We were in boat for half an hour. It was a thrilling experience in my college. The love towards college increased inveterately. I felt like, we had a great adventure trekking imaginarily ourselves at roaring stream. It is an unforgettable experience. We enjoyed every minute of the boat ride. I loved it. This ride remained entrenched in my memory. It gave me enthusiasm to ride again and again. I took many selfies with my friends which created unforgettable moments with them. 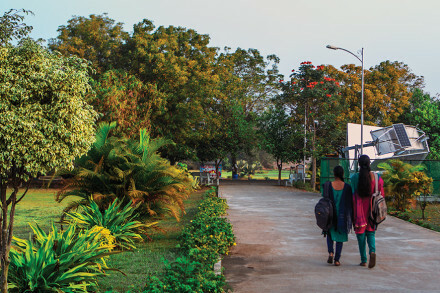 A boat ride in our college gives one the clearest picture of the scenic beauties of our college gardens, food court, library, trees, open auditorium, rose plantations, small fish in pond and beautiful weather which charms our eyes and soothes our souls. The best part of boating is posing for selfies and groupies that get posted in ones social networking sites. These selfies build the unforgettable throwback sweet memories attached with our friends. Boating with friends strengthens the bond of friendship and creates memories including playing with water, chit chatting with them, cracking crazy jokes and the atmosphere allows each one to be themselves and enjoy. kalyan kadali ,student of ECE department,3rd year, BVRITN, is a creative thinker,calls himself as a wanderlust,passionate about social work and believes in coherence,intrigued about photography and a big movie BUZZ!! . he is a voracious reader of edgy thrillers and his long term resolve is to join in nation's administrative services.